Social stigma and myths surrounding epilepsy is a challenge to treating the illness. Epilepsy, as psychiatrists describe is a brain malfunction that can manifest in various forms- seizures and salivation being the most common. Lack of awareness and patients’ poor compliance with proper medical treatment are some other challenges in treating the illness. Mon Maya Gurung, 34, an epilepsy patient from Gelegphu first experienced the epilepsy seizure in 2011. But it was only a year later that she was diagnosed with the illness and started receiving treatment. For Mon Maya, social stigma and myths were never barriers to seeking medical help. But she said she did come across people who chose not to seek medical interventions due to such beliefs. People often associate a lot of myths and beliefs with the illness delaying medical interventions. “They think they would rather go to see an astrologist or lams and shamans and perform religious rituals. So it takes a long time for them to even accept that they have an illness like epilepsy,” Dr Chencho, a Psychiatrist with the National Referral Hospital, said. Beside myths, the bigger challenge in treating the illness is the social stigma people attach to it. 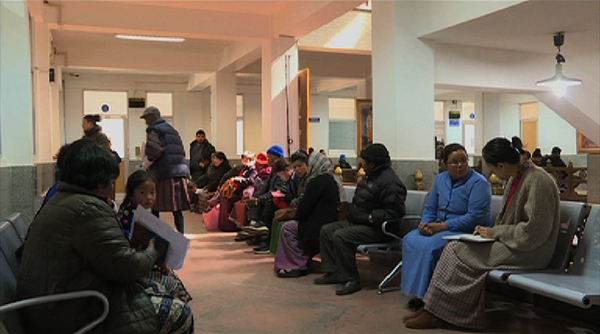 “They do not want other people to know that they are having epilepsy and that is because of stigma,” Dr Chencho said. Lack of awareness about the disease and its treatment results in patients’ poor compliance to required medical treatment. Dr Chencho said patients, when they come for treatment do not realize that it is a long term treatment, which at least takes three years. Globally, it is estimated that at least one among 100 people would have epilepsy. 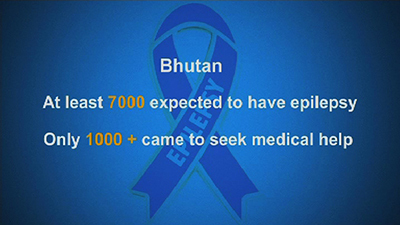 So going by this figure, Dr Chencho says, in Bhutan, at least 7,000 people would have the sickness. But, only around 1,000 came to seek medical help. The highest number of new epilepsy cases registered with the psychiatric ward at the national referral hospital was in 2012 at 145. The hospital registered 68 new cases of epilepsy in 2017. This form of illness mostly occurs in young people. In most cases, the cause of the illness is not known. Dr Chencho said it can be due to complications during delivery or congenital problems in young people. For the elderly, causes of epilepsy could be infections and trauma. “It is uncertain when you will get seizures. You never know. When you get it, you lose your consciousness. It is almost virtually dying because you do not know where you land up. You could fall into a fire, you can fall in the water, or you could fall from heights. If you are driving, you can have a motor vehicle accident. It is very devastating,” Dr Chencho said. For now, he added creating awareness through the media and social media, and public demonstrations as the only possible ways to narrow the treatment gap and encourage social acceptance of the illness. The illness received global attention with the World Health Organization launching a programme on Reducing Treatment Gap for epilepsy in 2012. It is to expand the skills of healthcare providers to diagnose, treat and follow-up with people with epilepsy.